форми, “Formi” in Macedonian translates to “form” in English, the focus for my senior thesis project and reflection on form as found in my Macedonian ( ethnic ) background. I started exploring further into Macedonian traditions as seen in my family practices. I focused my attention on Macedonian women and the dowries exchanged for their hands in marriage. Traditional dowries consisted mainly of embroidered and woven textiles these women would spend their lives making. Intrigued by these dowries, I considered what I could make for my modern dowry. I was really inspired by traditional Macedonian folklore dress and the embroider that these women created. These patterns naturally have a typographic feel, which lead to the creation of two typefaces. 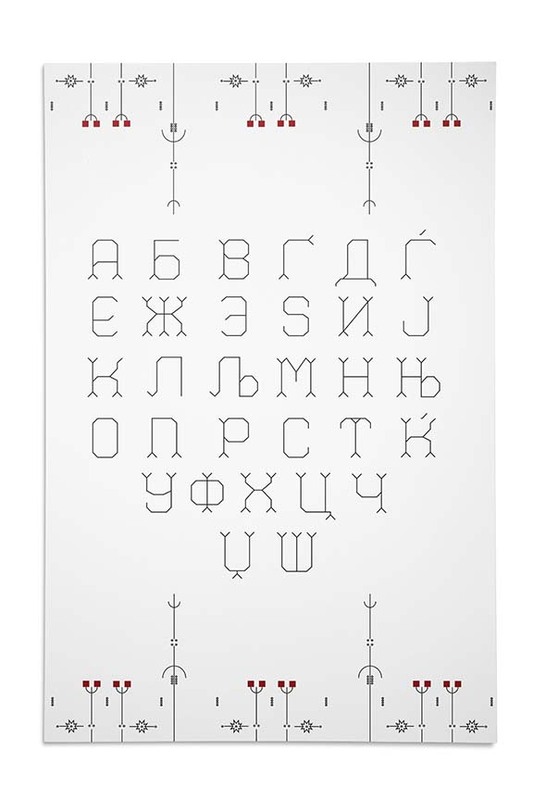 These typefaces could also worked together to create digital embroidered patterns. 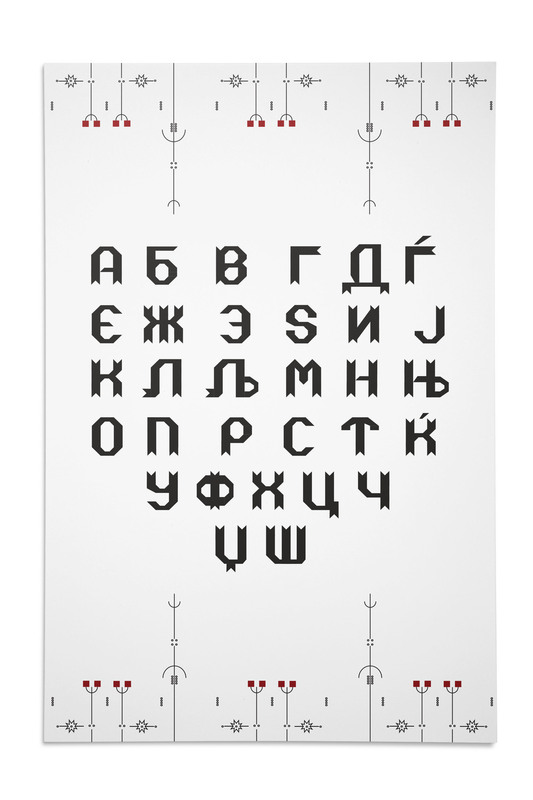 I created typefaces, two in the the English alphabet and two in the Cyrillic alphabet. These typefaces were translated on to apron patterns, inspired by the embroidery work I found in my research. The typographic patterns I created included, my response to the way women in both American and Macedonian culture are viewed. 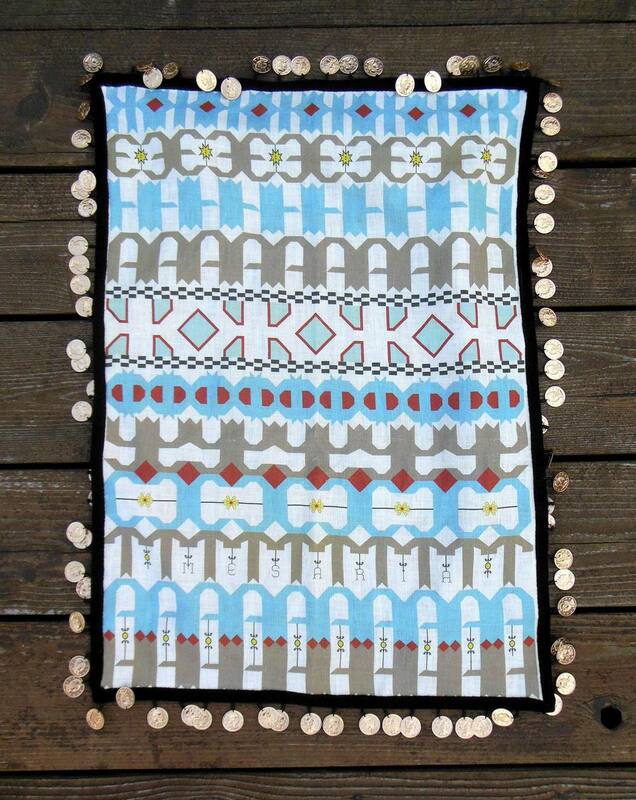 I printed these patterns on fabric and embellished them similarly to traditional Macedonian aprons. This project allowed a deep level of self-reflection, both as a human and as a designer.